Journey to the birthplace of Chinese Kungfu with the masters of Milun Kungfu School. Learn martial arts in the scenic mountains of Henan and experience the legendary Shaolin Temple in an all-inclusive weekend retreat o a summer camp. Enjoy a personalized tour of the Shaolin Temple led by renowned Chinese kungfu masters. Energize with basic Qigong training and self-defense study in the calm of the Songshan mountains. Stay in a local guesthouse and enjoy healthy and wholesome farm-style meals. NOTE: In the Weekend Retreats, participants will travel from Beijing to Zhengzhou via soft sleeper on the night train Friday at 9:00PM and return Monday at 6:00AM. Check back for updates on upcoming retreats and workshops. 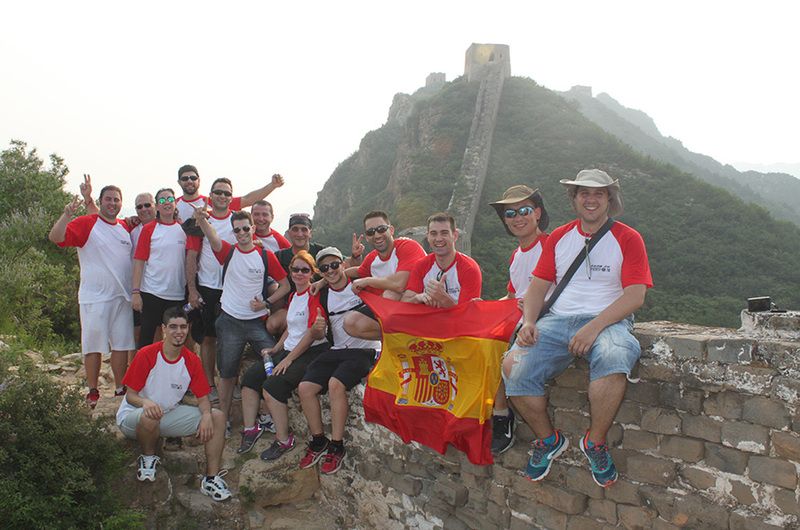 Last july, 14 Spanish Kungfu students came to China for training with our Masters Zhang Yuxuan and Zhang Baoxuan. They had a unique experience. 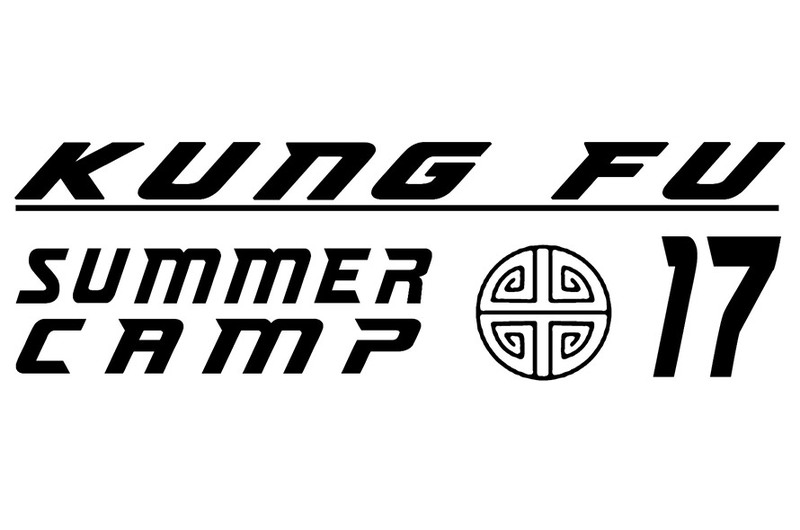 KUNGFU SUMMER CAMP 2017 - 4th to 20th of july. We are working on the upcoming Kung fu Summer Camps 2017 in Beijing. 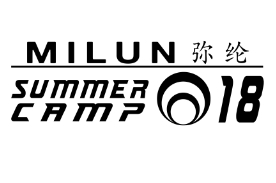 MILUN SUMMER CAMP 2018 - 21th to 28th of july in Spain. 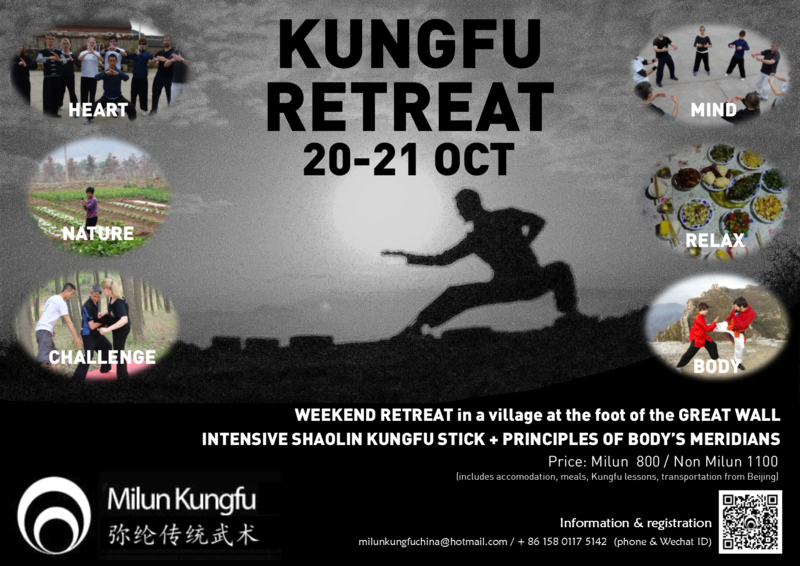 WEEKEND KUNGFU & ZEN RETREAT - 20 - 21 oct. Transportation from Beijing with private bus. You dare?